Rangers boss Ally McCoist has laughed off reports suggesting that West Ham have placed a £6million bid for striker Nikica Jelavic. West Ham have had a bid for Southampton winger Jason Puncheon rejected, according to reports. West Ham vice chairman Karren Brady and former professional footballer Robbie Savage have teamed up to lead a ‘Dream Team’ of eleven high profile football experts to launch npower’s ‘What’s Your Goal? 2012’. Posted in KUMBComments Off on What’s your goal? 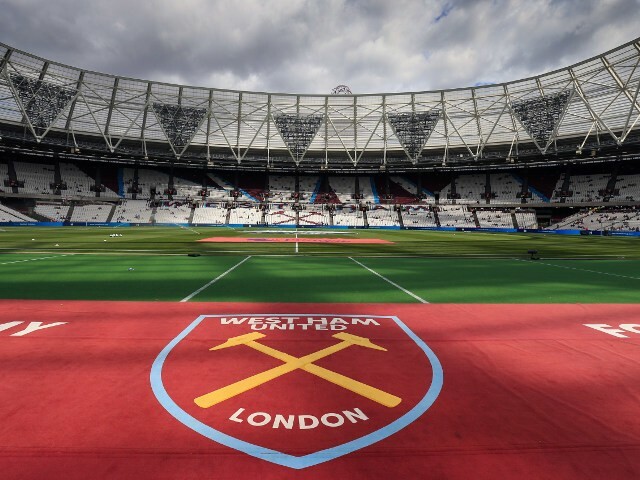 Police have confirmed that a fourth man has been arrested in relation to the theft of personal information belonging to employees of West Ham United FC. West Ham have signed former Manchester United trainee Joe Dixon on a free transfer. Campaign group WHU’s View have received assurances from the club over a ballot on the Olympic Stadium move. Sam Allardyce was a guest on the BBC’s LKOL show last night. Wind of change – or playing hardball? Karren Brady has claimed that West Ham United’s board are considering redeveloping the Boleyn Ground – despite having categorically ruled the option out previously. Posted in KUMBComments Off on Wind of change – or playing hardball? Before getting stuck into the Board, I would just make the point that the club paid a group of players in excess of £48million last season , and they took us down. That’s £8m more than Gianfranco Zola’s squad earned. So now we know. If our owners do not go for the Olympic Stadium option, we won’t leave the Boleyn and will aim to redevelop our 108-year-old home. WH Holding Limited have announced an operating profit of £6.8million in the club’s latest set of accounts – but overall losses of £18.6million. Under normal circumstances I wouldn’t have made this one. Not that I expect much sympathy from you lot but, having managed to pick up Preview Percy’s heavy cold during the week, I felt about as much like travelling to an away match as Paolo Di Canio often did. Last Sunday afternoon saw West Ham’s first and final FA Cup appearance of the season as Chris O’Grady’s late winner for Sheffield Wednesday sent us crashing out of a tournament that never really begun for Big Sam’s men. Posted in KUMBComments Off on A blessing in disguise? West Ham returned to winning ways with a narrow win at Fratton Park – but flattered to deceive against a side who were forced to play with ten men for much of the second half. A Mark Noble penalty is the difference between the two teams at the break in this afternoon’s Championship clash between West Ham and Portsmouth. A story that appeared in the Daily Mail late last night suggesting Freddie Piquionne has moved to Wolves has been dismissed as complete fabrication. Former Hammer Jimmy Walker will become Walsall’s record appearance holder this afternoon when he starts his 530th game for the Saddlers. Sam Allardyce is looking for his side to bounce back from last weekend’s massive disappointment with all three points at Fratton Park today. The Daily Mail is claiming that Wolverhampton Wanderers have signed West Ham striker Freddie Piquionne on a free transfer. Posted in KUMBComments Off on Piquionne gone? George John’s agent says that there will be an announcement with regards to his client’s future later today. Former Hammer Dean Ashton has been speaking about his playing career on Twitter. Former Hammers manager Avram Grant is set to be confirmed as the new boss of Serbian champions Partizan Belgrade. West Ham have completed the signing of American defender George John. West Ham continue to keep a number of irons in the fire as the transfer window approaches the halfway stage. A third man has been arrested in relation to the theft of private documents belonging to West Ham United vice-chair Karren Brady.